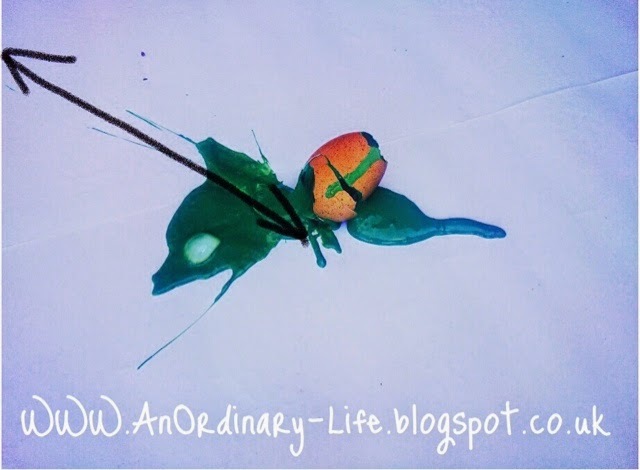 An Ordinary Life : Science: STEP by STEP Paint splatter experiment! 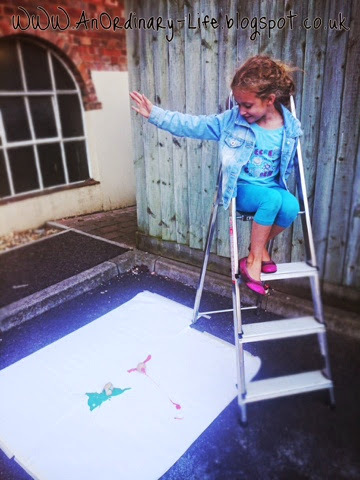 Science: STEP by STEP Paint splatter experiment! We did a new experiment this week. One I had thought up a while back but finally we had a moment in time where we had enough empty eggs shells enough paint! As we all know every criminal leaves behind evidence at the crime scene. To catch a criminal, investigators (forensic experts) need to collect all the evidence they can and put it together to make sense of it. In this science project you will be finding a connection between the size of paint stains (taking the place of the blood stains) to the distance from which a body fell! If you feel too grossed out by this remember it is only paint, think of it as art. If you enjoy figuring out mysteries and solving puzzles, this is a science project you are going to love! 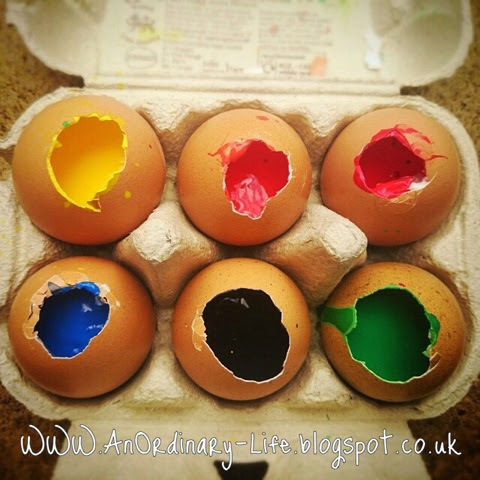 Fill each of your Eggs with paint. We chose a different colour for each egg. For the artistic effect I would suggest you do too. If you want to be very scientific about it you should use kitchen scales to weigh out your paint so you have the same amount in each egg. Also the viscosity will affect the results so try and choose the same brand of paints. This is best to do outside. We did and I am glad of it as it was a little bit messy! 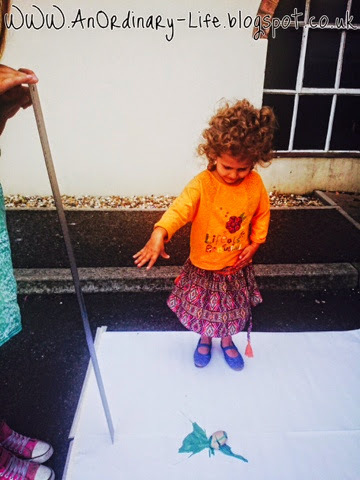 So stick down your large piece of paper to the ground using the masking tape. Fill in your table with all your hypothesises. When we measure the splatter we will be measuring from the centre of the splat to the furthest point of splatter. Choose your first egg. 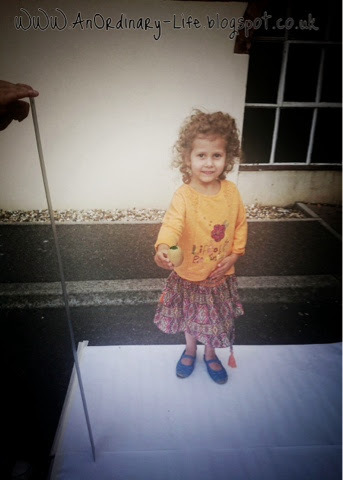 Measure it 50cm from the ground and drop it. 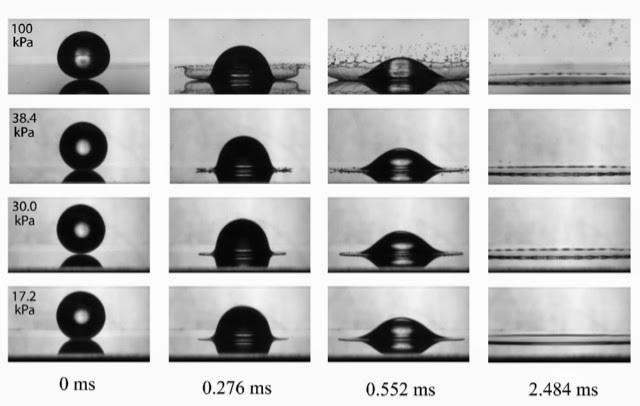 If you want you can time the moment it is dropped until it splats and record that too then you can work out the velocity - read about this at the end of this post if you are interested. Remember: do not throw or slam the eggs to the ground as this will make this test an unfair one, simply drop the egg - just let it go. This is the rule for each egg we are going to drop. 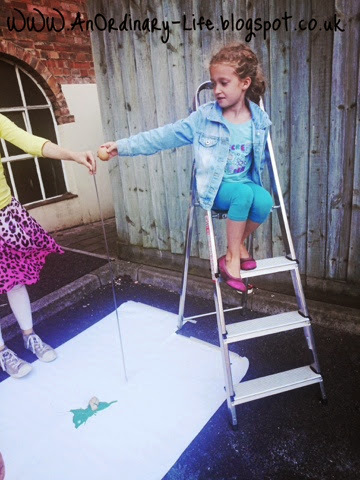 Measure the distance of the splatter from the centre of the splat to the furthest point the splatter reached. Record this on your table next to the hypothesis. Choose your second egg. Drop this one from a metre. Use your metre rule. Drop in the same way as the first egg.Don't forget to time it if you did with the first egg! Measure the splatter and record it on the table. Choose your third egg. Drop from 1.5 metres. Don't forget to time it if you did with the first egg! 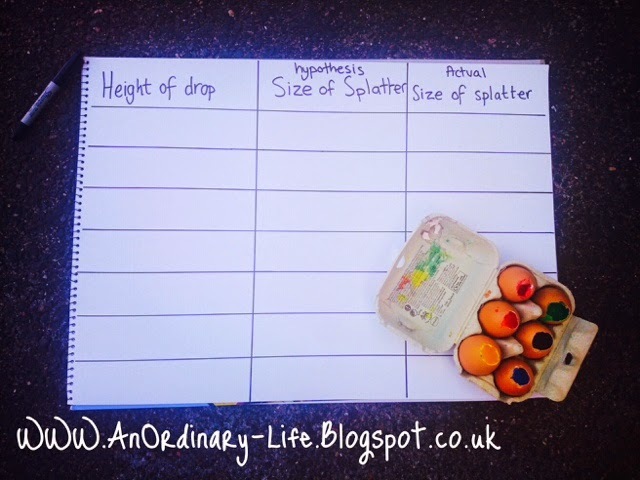 Measure the spatter as with previous eggs and record on the table. Choose your fourth egg. You will most probably need to use the ladder at this point, be careful, I would hate if anyone fell! You will need an adult at this point. Measure 2 metres high. Drop the egg. Don't forget to time it if you did with the first egg! Measure the splatter. Record results. On the ladder again! Choose your fifth egg. Measure it 2.5 metres from the ground. Drop the egg - don't forget to time it if you did with the first egg! Measure the splatter. Record results. Last one, again the ladder will be required. Choose your egg. Measure it 3 metres from the ground. Drop the egg. Don't forget to time it if you did with the first egg! Measure the splatter. Record results. Make a graph with your graph paper. the x axis being the height of the drop, the y axis being the length of the splatter measured. Write out or discuss any conclusions you make. Because we are measuring velocity due to a fall we can be more accurate than that knowing that acceleration is due to gravity. 9.8 (acceleration due to gravity) x 2 (time) = 19.6 m/s² (Velocity). If you didn't the first time - time your splatters, that way you can try calculating the velocity of your splatters, adding this to the measurements and investigate further. 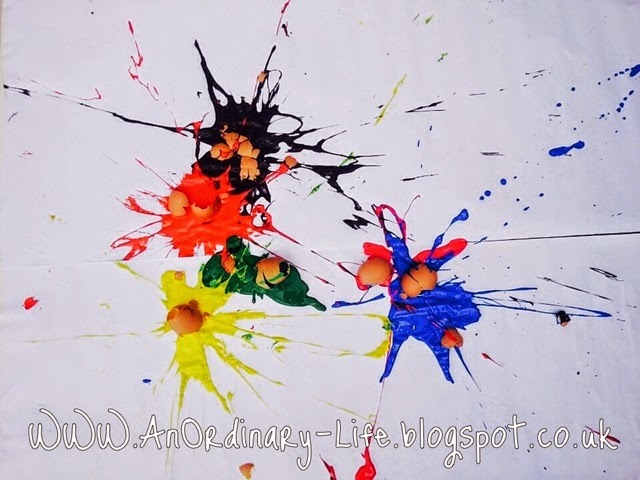 Try throwing paint filled eggs at different angles and see how the patterns vary. Try liquids with different viscosities.